So, when is new Pearl Jam music coming? The guys recently confirmed that they’re working on a new record this year, but before then, Pearl Jam bass player Jeff Ament is gearing up to release a new album on his own. 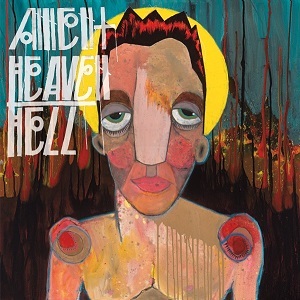 Ament’s new set, called “Heaven/Hell,” will arrive with his solo project, simply named Ament, on May 10. The set features the previously-released single “Safe in the Car,” which includes appearances from Pearl Jam’s Mike McCready and Matt Cameron on the song. View the music video for “Safe in the Car” below. Ament even designed the artwork (pictured above) for the new album. The set is available for pre-order via Pearl Jam’s official website. Pearl Jam’s new album will mark their much-anticipated follow-up to 2013’s “Lightning Bolt.” No word yet on when the album will arrive, but the band has already released a new song from the set, “Can’t Deny Me,” and confirmed more music is on the way.